Our thoughts and prayers are with everyone preparing for Hurricane Florence. We are closely monitoring the pending storm and will provide updates on the hours of operation for our office in the next couple days. Regardless of our office hours, we have made arrangements to handle most business remotely throughout the storm as conditions permit. Please contact your AJ attorney or staff member by email or call our main number (919) 277-2541 and leave a voicemail message if you need legal assistance. The safety of our employees, their families, our clients and communities are our highest concern. 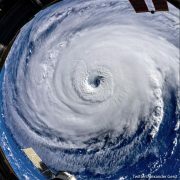 Please check these sites for helpful information to stay safe during Florence: FEMA, NorthCarolina Dept. of Public Safety, and South Carolina Emergency Management Division. Additionally, in the event of a power outage, please contact Duke Energy Progress at 1-800-419-6356. Anderson Jones attorneys and staff ask you to please stay safe over the next few days and we will be standing by ready to help as needed.